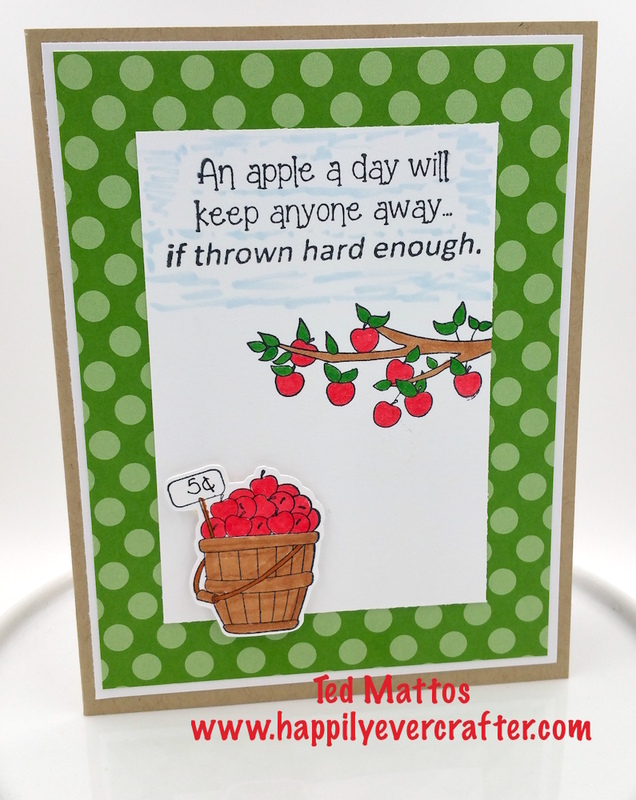 An Apple a Day with Guest DT Ted! Ted is back today, guest designing for So Suzy Stamps so a big warm welcome to him! 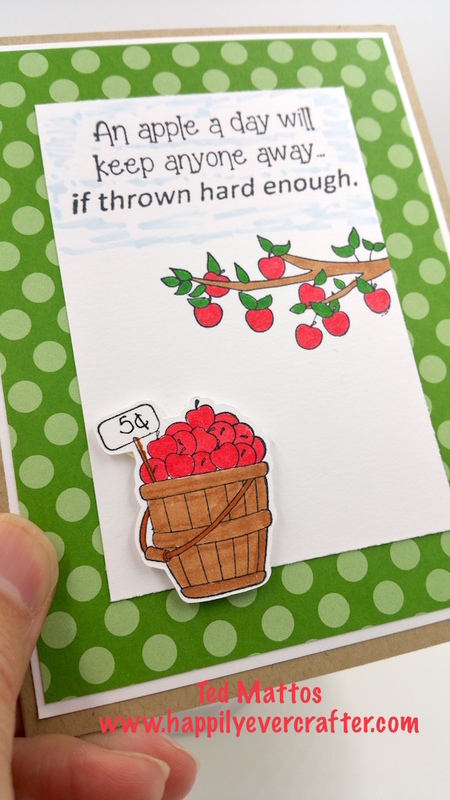 I stamped the Basket of Apples image and had my buddy, Scan-N-Cut, cut it out. I wanted it to take center stage, so I popped it up on dimensionals. I used the Apple Branch image to be the background, and then topped off the entire center panel with the Apple a Day sentiment before surrounding it with some blue Copic (to emulate the sky).